I realise that World Champs in Trondheim were more than a month ago, but I haven't written anything yet about them here. Partly that is because I have been busy / lazy, but also partly because I wanted to reflect on the championships and my performances before writing anything. I think this is the year that I have been best prepared physically and technically for a World Championships. I had my best ever training winter, I had a good spring with nice results in the European Championships, NORT and the World University Champs, so my confidence was high. I also had 3 weeks in Trondheim in June and July with Oli Johnson, Matt Crane and Jonn Are Myhren, doing some excellent training and joining in some training with other national teams. I had an early set back when I was selected for the middle instead of the long, but apart from that, my preparation was close to what I had planned. I have run the sprint 6 times now in WOC, with results 33, 9, 12, 22 and 17 until this year, and I knew that I was capable of a top 6 and maybe a medal with a perfect race. I was confident that I could perform and I was ready for any challenge that the course setters could manage. Then the rest of the race I was really stressed and just thinking about this time loss, and how losing 30-40 seconds there could be the difference to qualifying or not. I therefore ran at maximum the rest of the race. This is not the ideal thing to do in the first of 2 races in a day! Actually, looking at the split times, I lost 42 seconds to the best, and I was 43 seconds behind in the end, in 10th place. When I finished the race, I was so angry with the organisers, calling for the race to be cancelled and demanding to speak with the people in charge. 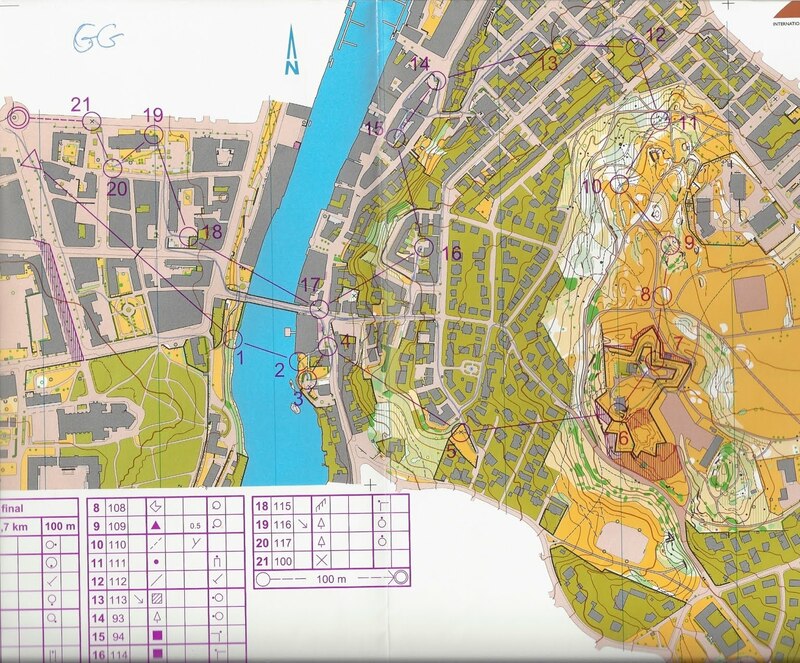 Luckily my coaches managed to calm me, but there was also some problem with the results system, so I had no idea for 1 hour after I finished if I would qualify anyway, or if we would have to make a protest, or whatever. This meant I was really stressed, didn't refuel or recover as well as I should with only 4 hours before the final! I can see now that there was nothing I could do, and I should have just continued as if it was normal - control the things that you can. Well, I did qualify, but instead of being top 3 or 4 as I would have expected / hoped, I was 10th - starting earlier in the final, with less time to recover on top of the extra stress and exertion of the morning qualification. It is no surprise, therefore, that I was not able to get the best out of myself in the final. 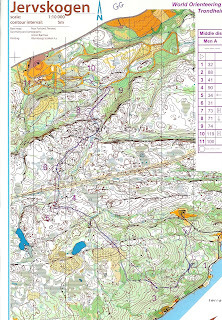 My 14th place is vindication that even with 'bad' preparation, I can still get a 'good' result, but I am far from happy with the performance or the result, and I put most of the blame not on the organisers of the qualification (although I am disappointed that such a mistake could happen at the world champs) but on myself and how I dealt with it. Anyway, then it was time for the middle! Historically, this has been my weakest discipline, certainly internationally, but this year I have been running quite well, and I was confident to at least improve on my dnq, dnq and 26th from my previous attempts! The qualification was the toughest race of the week, both physically and technically, and I struggled after the physical challenge of 2 sprint races the day before. I made a big mistake on the 1st control, and Thierry caught me 2 minutes at the 4th control. I was just about able to stay in touch with him, and then towards the end I was able to stretch out a bit and finish before him to qualify comfortably, and about 1 1/2 minutes down on Nordberg. Then I could have 4 days rest before the final! During those 4 days I was able to recover completely, and get in a couple of good sessions, so when the final arrived, I was back feeling good and ready to race. 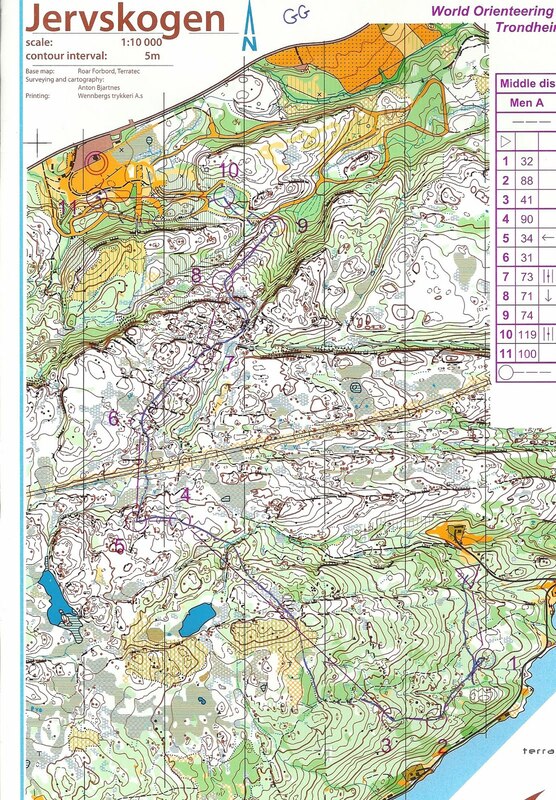 For the first time in middle at WOC, I was actually confident that I could get a top 10 with a good race, and I actually managed to have a really good race. I didn't chose all the best lines, but I didn't make any mistakes and was able to push hard, certainly in the second half of the race. 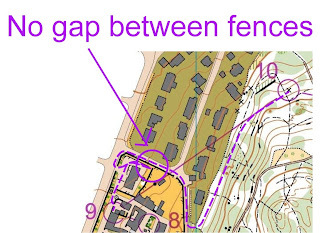 As an 'early' starter, I was able to come through the arena and finish in the lead, but then I had to watch as runner after runner came in in front of me, and although I didn't manage to achieve my top 10, I was very close (16 seconds) and I felt I had performed to my ability on the day. 13th place and a good feeling - much better than 14th in the sprint! After a year away, Jon Duncan had returned to the fight, joining myself and Scott in what we knew to be a very strong relay team. We knew that with 3 good races, anything could happen - as we proved in 2008! I was running the first leg, and followed the usual tactics - don't do anything stupid, don't lead unless you have to, use the other runners and run like hell at the end! I managed to have a good race, and with 1km I was hanging on the lead runners, and I decided that I wanted to push the pace a bit, so me and Khramov made a small lead, and I changed over 1m behind him in 2nd place. JD had another great WOC relay run to set Scott off with the leaders. 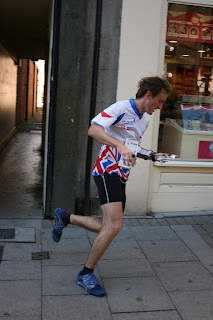 He performed fantastically against the real best runners in the world to finish 4th! Another great day for the British team, to go with Scott's 6th place in the long distance. After WOC I took the opportunity to explore Norway a little with some friends, so we drove from Trondheim to Oslo via lots of mountains, fjords and everything in between, seeing some amazing places and doing some good running. 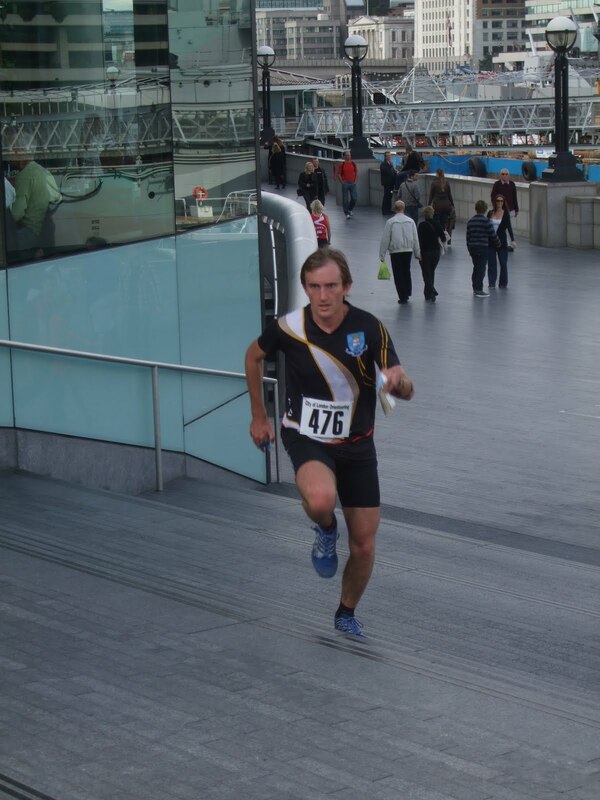 At the weekend I took part in the 3rd London City Race. Every year it has been growing, and this year there were more than 750 people including more than 100 overseas runners taking part. The weather was perfect, and many people combined the race with a weekend in London, either sightseeing, or taking part in the race on Sunday as well (or both). 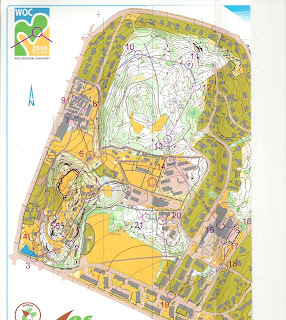 The race itself was really fun - a mixture of high speed, high concentration orienteering, and some parts in for the tourists! We warmed up over Tower Bridge, started at the Tower of London, ran past St Paul's Cathedral, the Gherkin, had a route choice over either Millenium Bridge or London Bridge, ran along the South Bank, past Borough Market, and even through London Bridge Underground station! 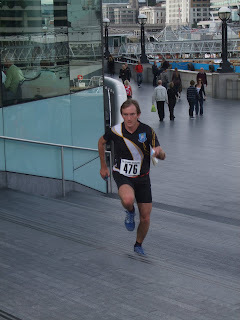 The finish was on the bank of the river Thames, right by City Hall. And there were a lot of really difficult controls on multiple levels - lots of bridges and underpasses. If you haven't been - make sure you go next year! For the first time since 2005, a major international race was held in Great Britain at the weekend. Athletes from around the world descended on Perth in Scotland to take part in the Park World Tour. 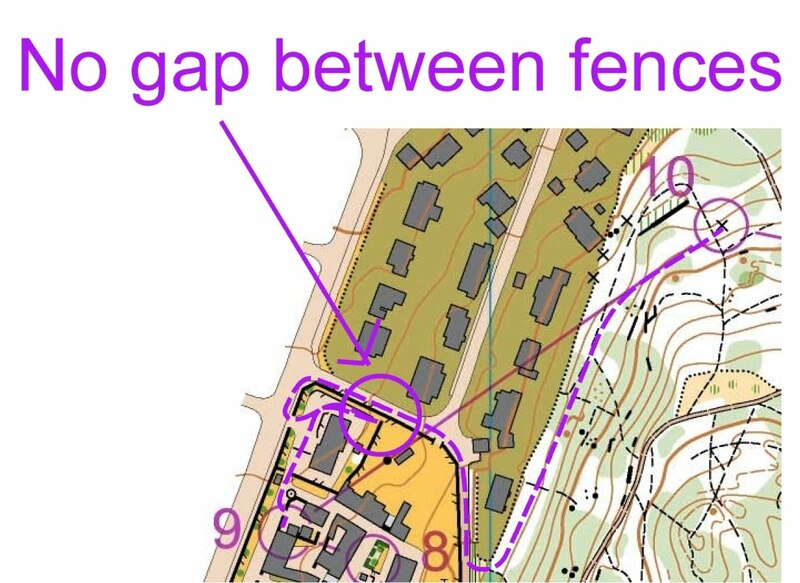 Friday was the prologue, held at Scone Palace just outside Perth - it was a really tricky race with many controls and lots of changes of direction. I seemed to be the only one to keep it together and not make any big mistakes, and I was able to win by over 30 seconds. The final was held on Saturday in Perth city centre, to the amusement/bemusement of the local public out shopping. Another high quality race with loads of controls. Maximum concentration was required with almost every leg having some route choice or navigational challenge. There was no time to rest or plan ahead, and I made 2 big mistakes - one time I ran into the wrong passage, and another time I took the wrong route choice, and also couldn't find the same steps that I had just run up! My speed matched Oystein's, but he made fewer mistakes and deservedly took the victory. I was happy to take the second place. The whole weekend was fantastic - run very professionally with international speaker Per Forsberg, big screen in the arena, light gate timing - the best event set up I have seen in Great Britain, or indeed in most countries! 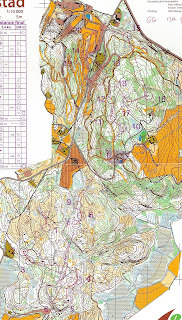 The courses were very good - challenging and contrasting, and the social atmosphere was also amazing, with entertainment including talks from several top runners and a ceilidh. 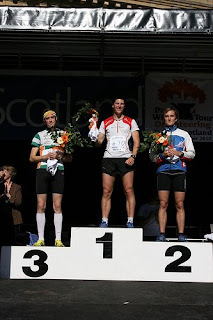 Bring on WOC 2015 in Scotland!